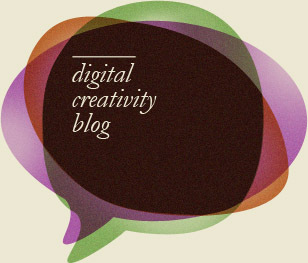 Home > Digital creativity blog > Are Unclicked Online Ads Wasted? While coupon counting were one of the essentials of measuring response rates in direct mail, data is king online. Never before the first days of tracking-links and cookies was it as easy to gather information about users and their behaviour. But click through rates aren't everything. So far only very little attention has been paid to brand or ad recall as measure for online advertising effectiveness. Research suggests that large online ad formats have higher click-through rates than smaller ones. Larger size also matters for ad recall, but even more relevant for memorizing ads online is comparing intrusive ads (pre-rolls, overlays, expandables and pop-ups) with voluntary ads (display ads such as banners or skyscrapers). Users are more likely to be annoyed by intrusive ads, hence they have low click-through rates but they score significantly higher than voluntary ad formats when measuring ad-recall. Click-through rates are an easy short-term measure for online advertising effectiveness, however advertising recall requires more costly research and is therefore often neglected when looking at online advertising accountability. With click-through rates on the decline for traditional formats, intrusive ads are an increasingly important alternative. 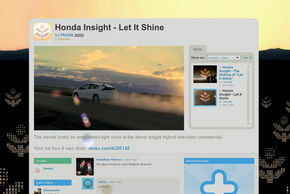 Honda's 'let it shine' take-over on Vimeo is great example of a beautifully executed intrusive online-ad campaign.